The Get Grubby program is an innovative online curriculum. 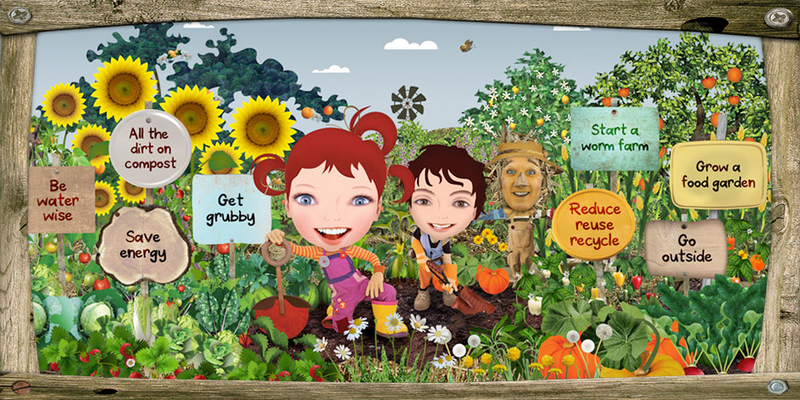 It focuses on sustainability and features never seen before, dirtgirlworld or Get Grubby TV video content, activity kits and educator guides designed to encourage active participation in early childhood sustainability learning. The ten program units cover the 3Rs, saving energy, being water wise, composting, worm farming and growing a food garden… lots of fun and practical activities focused on sustainability and eco celebrations… including Earth Day, World Water Day and World Environment Day. Grampians Central West Waste and Resource Recovery Group are sponsoring early learning centres to be able to access these resources. Please contact the team at info@gcwwrrg.vic.gov.au for more information on how to Get Grubby! Find out more about how the program can move kids from simply viewing to doing and can reinforce positive sustainability messages for the students, families and wider community at the Get Grubby website.